How fun is this? 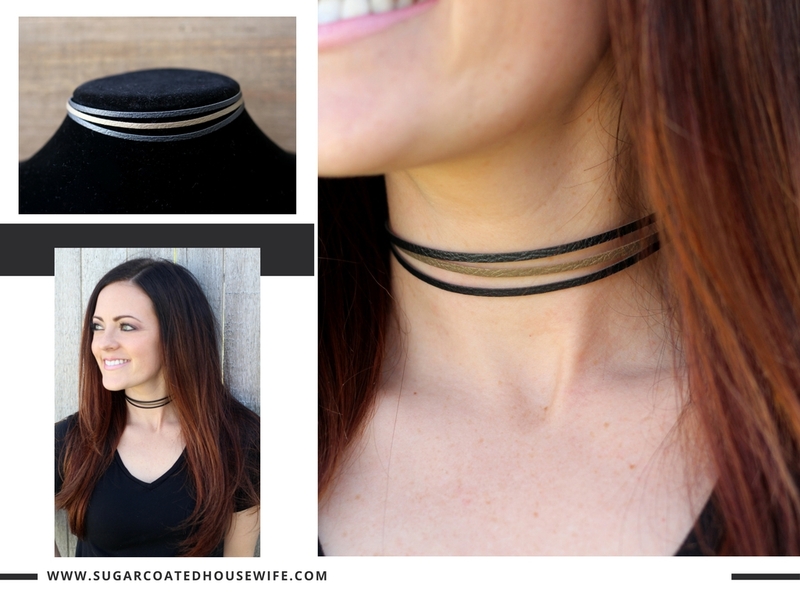 I am seriously obsessed with chokers right now!! 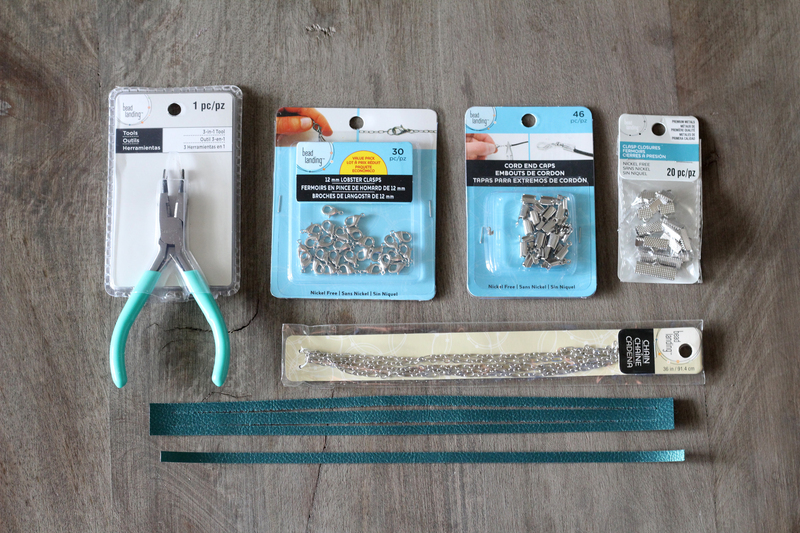 I came across some Faux Leather from Cricut, and thought immediately about all the fun things I could make! 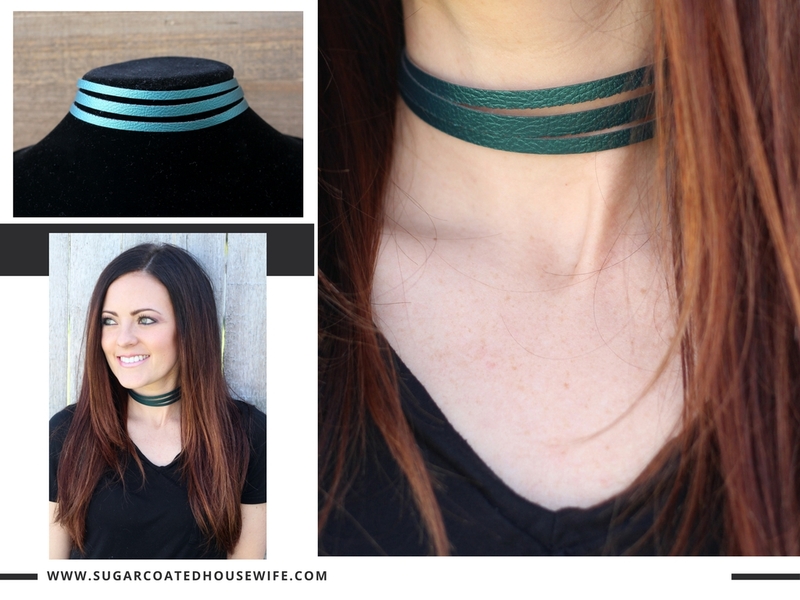 Some chokers, were first on the list!! I have never made jewelry before so I had to get a few new tools and hardware to put them together. I already had my Cricut machine,which I needed to cut the leather. Do you have a Cricut machine yet? if not, you may be wondering, How does the Cricut machine work? The Cricut is a machine that is linked to a program on the computer called Cricut Design Space. In the program you can create your projects in layers and specify colors and size. You send the images to the Cricut. Insert the mat with the correct paper, vinyl, faux leather, iron on material, ect..and the machine does the rest!! It’s incredible how quick and easy it makes these projects! 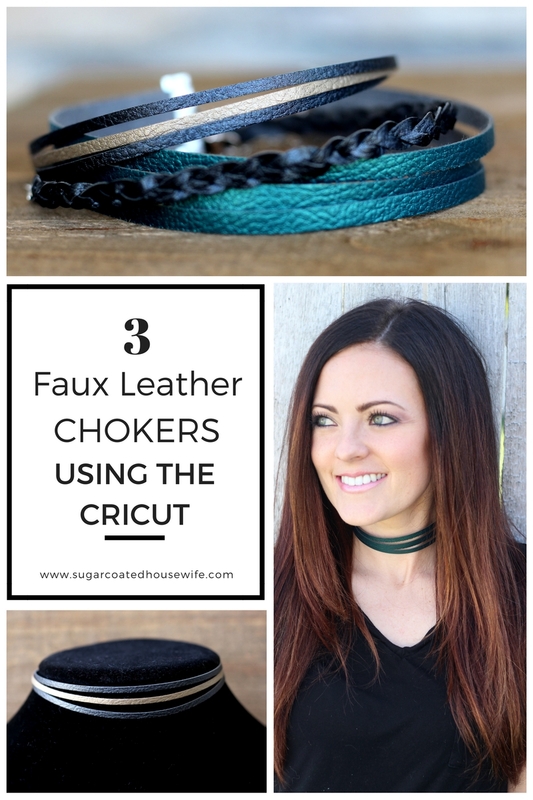 Today I am going to share some tutorials on how to make 3 different Faux Leather Chokers. 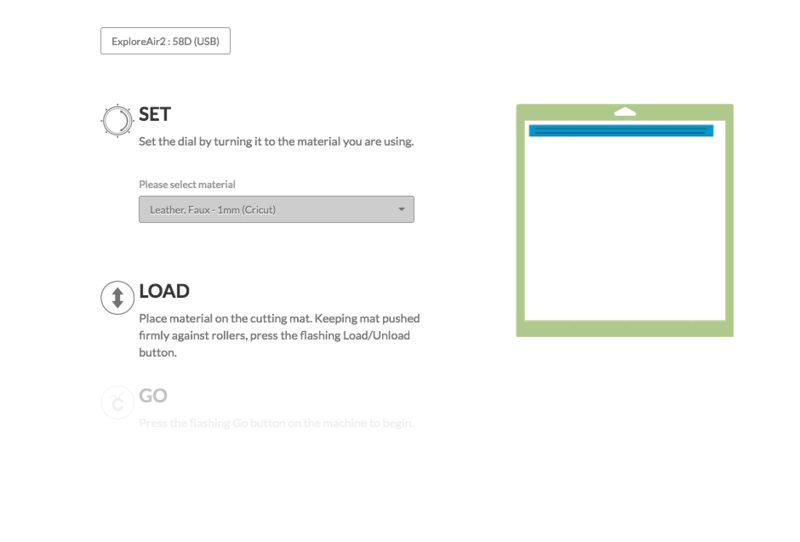 Open Cricut Design studio, create a new project, click insert a shape from the menu on the left hand side. Choose a square. clikc the lock to unlock the ratio of the image. Drag it to make a rectangular shape that is 11″ long and 0.67″ wide. Now for the tricky part! Make another rectangle by duplicating the one you just made! The duplicate button is on the bottom righthand side of the page. 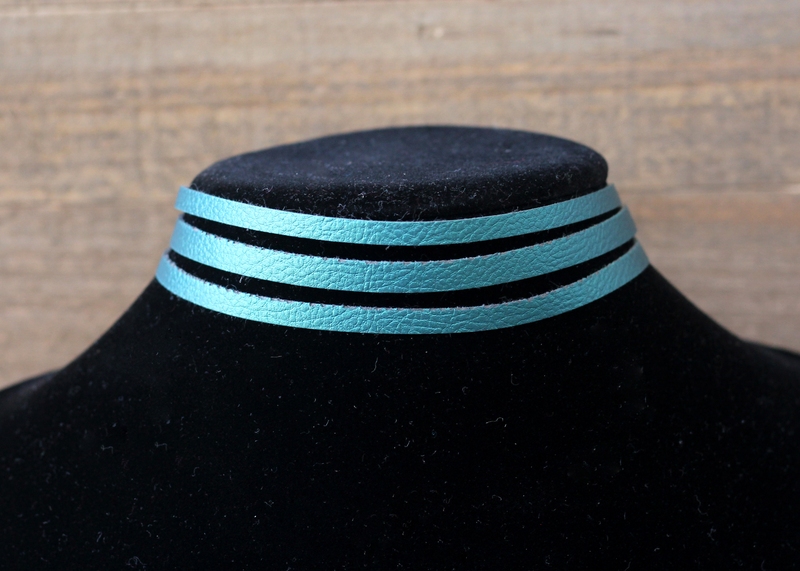 make it as thin as possible, you want it to look like a thin line. Place it on top of the bigger rectangle and adjust the length leaving enough room for the image to be solid on the ends for the hardware. Select the thin line and then the outer one and on the top righthand menu click layers and then slice. This will remove the thin line that you made making it a cut line now! move the image and you will see that it now has a hole where you cut it out. Repeat this step one more time to make another slice. The second slice didn’t remove, but it still cut so don’t be worried about that. Click GO. Place your Faux Leather on the purple, strong Cricut mat. This is a must!! The other mats are not strong enough to hold down this heavy material and it will slip all over the place while it cuts. Feed mat into machine. Make sure and turn the dial on the machine to custom. 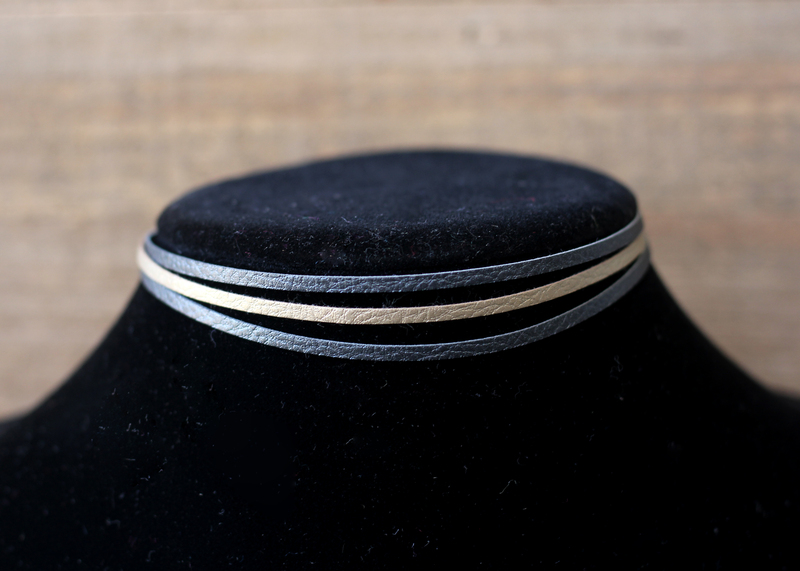 Then in the drop down box look for Faux Leather like this image below. Cut your image by pressing the flashing button on the machine. 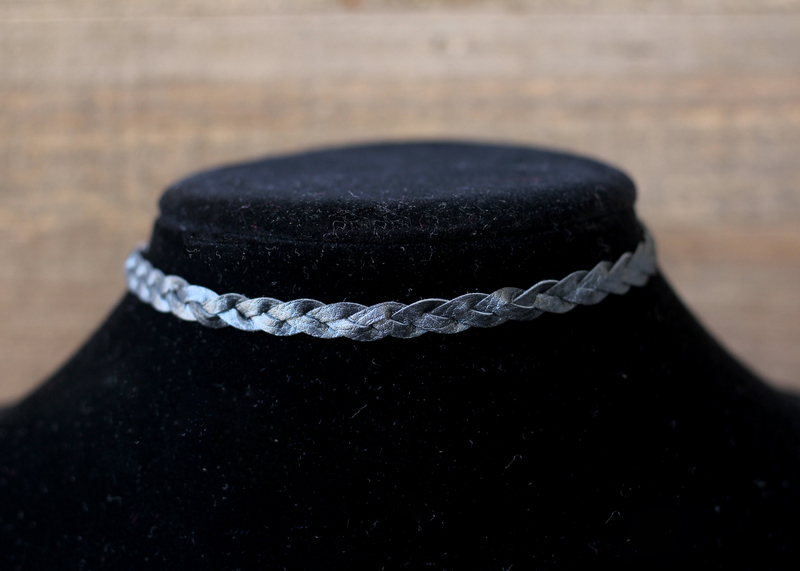 Follow all the instructions above for the braid choker. change one line to a tan color so it will have you change out the mats. When all of them are cut sandwhich the gold in between the black and add a Cord End Cap on the end. Repeat on the other side. Add a Lobster Clasp and Chain like above. The Cricut Explore Air 2 is such an amazing machine. You can make so many projects in minutes. You can get yours –>HERE. 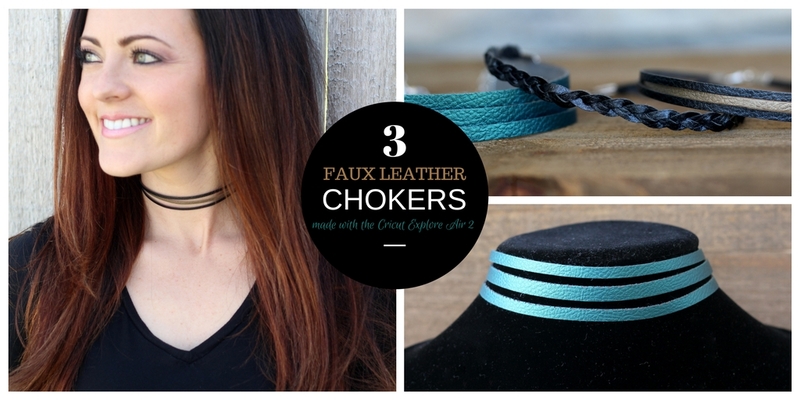 Hope you have fun and enjoy creating your own Faux Leather Chokers. 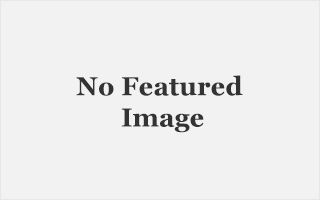 Previous ArticleShop the Nest Boutique! Next ArticleWHAT IS THE CRICUT MACHINE?